"Walker & Royce" started when Sam and Gavin, having known each other in and out of the dance scene for years, finally began working together in 2011. As things usually go, it was a bit of luck that got them off the ground: Crosstown Rebels boss Damian Lazarus noticed one of their very first releases, a remix of SAARID's "Future Lately", on Nervous Records. He began playing it in all of his sets and reached out to the duo for more. The result was the Crosstown Rebels EP "You're Not Welcome" and with that, Walker & Royce was launched into the dance music mainstream. 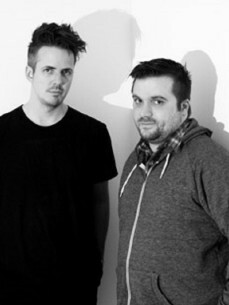 Around the same time, Walker & Royce released a track on an OFF Recordings compilation that started as a sleeper but went on to become a house anthem: "Connected". The song quickly became a mainstay in Solomun's performances. This and subsequent releases, such as those on Moda Black and Pets Recordings, have set the stage for a diverse range of sounds from the pair.